Whether you fancy stouts, pilsners, pale ales or sours, Oklahoma has plenty of craft brews to try. We offer the history of the hoppy drink, the different types to imbibe, health myths and interviews with some of Oklahoma’s finest brewers. Prost! Oklahoma has a growing number of craft brewers. We talk with four of them about the past, present and future of their brands. Marshall Brewing opened an expanded taproom in Tulsa in September. 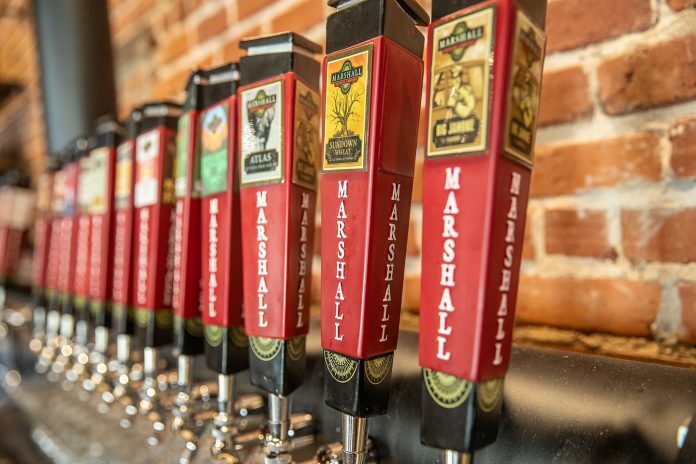 As one of the founding fathers of the brewing zeitgeist in Tulsa, Marshall Brewing began in April 2008 by primarily selling kegs until graduating to bottles and six-pack cans in 2009. Since then, the brand has focused on expanding its core and seasonal brands and distributing in Oklahoma, Arkansas and Kansas. Founder and namesake Eric Marshall is also passionate about pushing for changes in legislation to benefit craft brewers. 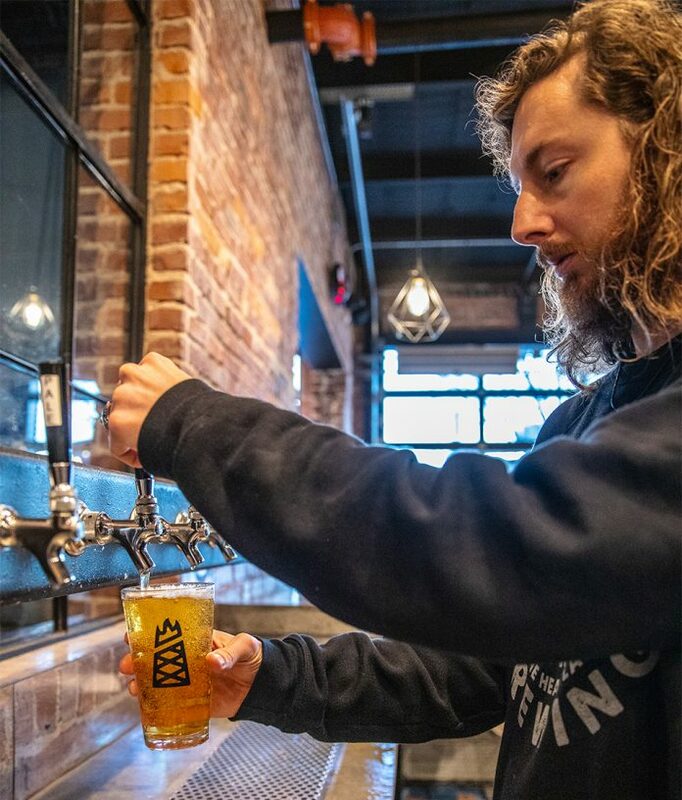 What started as an effort to allow breweries to offer samples in-house has expanded to something that touches the entire state. As a result, new liquor and beer laws, by popular vote, went into effect in October. Marshall says the company’s success likely stems from a level of expertise that stands out from the ever-expanding list of craft brewers. Marshall Brewing is at 1742 E. Sixth St. Visit marshallbrewing.com for information. Welltown Brewing touts a variety of beers, from pilsners to pale ales, fruity sours and saisons. What started four years ago as a one-two punch of business savvy and a love for beer birthed Welltown Brewing, a jovial taproom in downtown Tulsa owned by Jeremy Diamond and Jordan O’Dell. Diamond says (for him) the seed of starting a brewery germinated in a small way. Welltown has expanded thrice – with locations ranging from 3,000 square feet to 6,000 and now 10,000. Throw in a rooftop patio at the newest location and the entire place is around 12,500 square feet. Diamond says this passion for ambiance and visitor experience makes Welltown unique. The expanded location boasts plenty of family-style seating to encourage interactions and a sense of community. 2019 marks the one-year anniversary at Welltown’s current location, and Diamond says this year’s focus is on events to bring people through the doors. 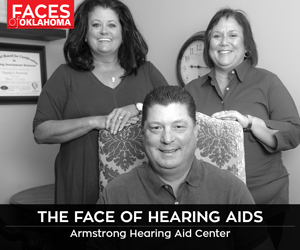 Partnerships with the BOK Center and the University of Tulsa keep Diamond on his toes. Welltown Brewing is at 114 W. Archer St. To see what beers are on tap, visit welltownbrewing.com. Prairie Artisan Ales brews everything from pale ales to stouts and sours. With expert branding, locations in three Oklahoma cities and award-winning beer, Prairie Artisan Ales has quickly become one of the most popular breweries in the state. Started in 2012 with help from the Krebs Brewery Company and its owner, Zach Prichard, Prairie originally touted farmhouse ales and sour beers before expanding to its Holy Grail – the stout. Its most popular beer, the Prairie Bomb, premiered in 2013 and made Prairie a brewer to watch, not just in Oklahoma but around the United States. After Krebs Brewing acquired the Prairie brands in 2016, the brewery continued to grow in popularity and garner numerous accolades. 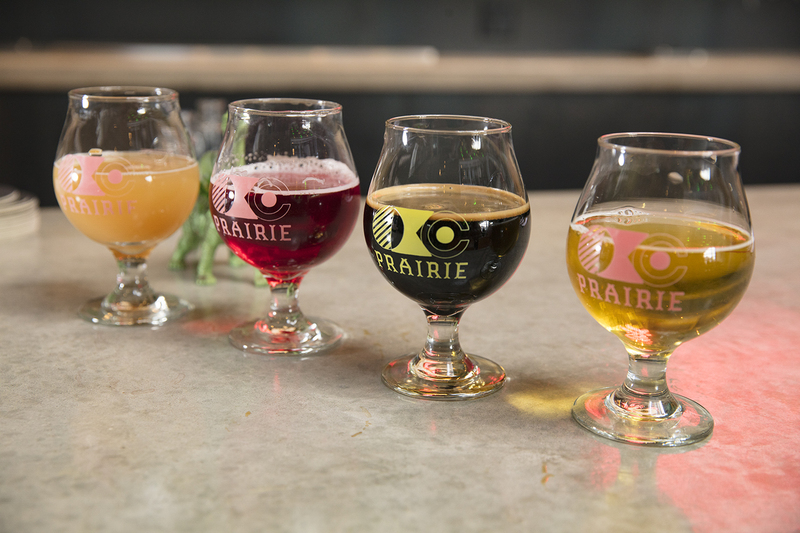 Prairie’s repertoire ranges from farmhouse ales to barrel-aged stouts and sours. Even if you haven’t tried a Prairie beer, chances are you’ve seen the whimsical branding or logo somewhere around OKC – on a T-shirt, a glass or a beer bottle. That’s by design. Prairie has taprooms in OKC and McAlester, along with a brewpub in Tulsa. For information, visit prairieales.com. 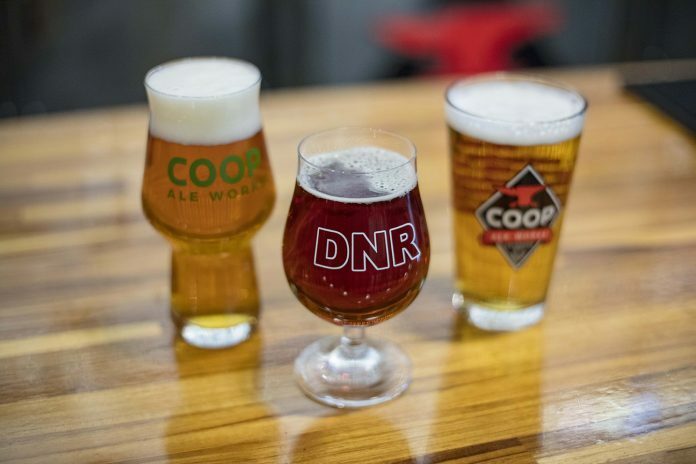 COOP Ale Works, founded in 2006, distributes to six states and plans to expand in 2020. Hatched in 2006 at the start of the craft beer renaissance, the idea for COOP Ale Works arose when some OKC residents, including now CEO and owner Daniel Mercer, noticed their city didn’t have a craft brewery to call its own. Breakout beers like the Gran Sport Porter and COOP F5 put the brand on the brewing map; it now boasts seven year-round beers, four seasonals and various limited releases. COOP is distributed in Oklahoma, Texas, Kansas, Missouri, Arkansas and Nebraska. One particular series of beer stands out to Sylke: the Id. 2019 marks COOP’s 10th anniversary, and Sylke says a March 2 party will be the biggest taproom event of the year, with all proceeds benefiting the Central Oklahoma Humane Society. Another project in 2019 includes a big renovation. The facility is set to open in fall 2020. For information, visit coopaleworks.com. From ancient times to the enactment of new liquor laws in Oklahoma, beer has a lively lineage. Which came first, the bread or the brew? It’s an argument that has puzzled anthropologists for decades. Some believe the origin of beer came with the cultivation of agriculture, and that ancient peoples stumbled upon fermentation while experimenting with bread-making, enabling them to tinker with alcoholic beverages. Others believe the motivation to create beer led to the side benefit of yeast products, including bread. 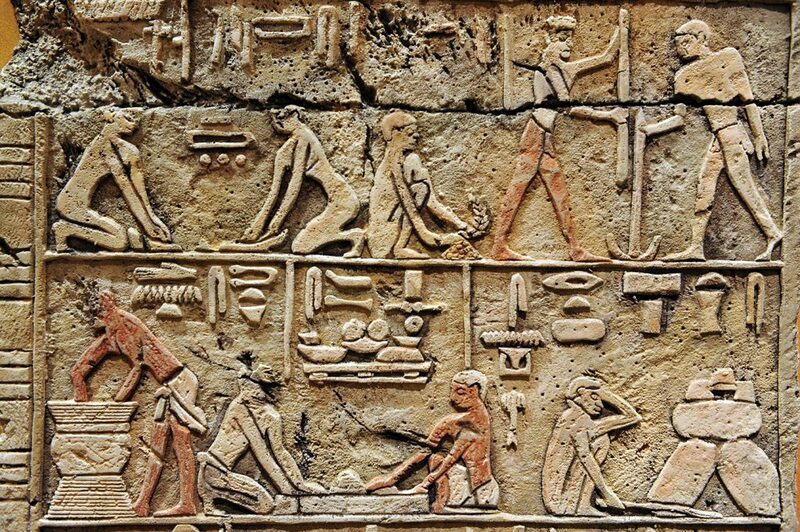 Either way, beer is still a beloved beverage, thousands of years later. In contrast to many religious groups today, European monasteries were largely responsible for brewing and selling beer. Beer is perhaps America’s founding beverage. The Pilgrims cut short their journey to the New World by landing at Plymouth Rock, rather than sailing farther south, in part because of a shortage of beer aboard the Mayflower. 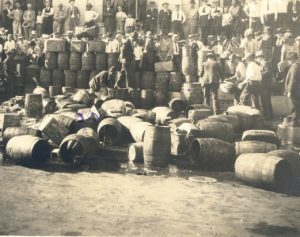 Prohibitionists crack open barrels of alcohol in 1921 Oklahoma City. Alcohol was a vital part of the Wild West. Oklahoma Territory, opened with a land rush in 1889, had a lore filled with taverns in nearly every settlement. That all changed with statehood. When Oklahoma became a state, residents adopted prohibition as part of its constitution. Until 1918, alcohol was (ironically) only allowed for the critically ill when prescribed by a doctor and supplied through a regulated dispensary system. Oklahoma became the 18th state to ratify the 18th amendment, making prohibition a national law. Bootleggers and speakeasies sprang up as alcohol sales went underground and continued to thrive – until the Great Depression and Dust Bowl hit Oklahomans hard. 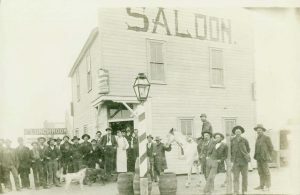 Men stand in front of an Anheuser-Busch saloon in Enid. National prohibition was overturned with the passage of the 21st Amendment, but Oklahoma did not follow and never ratified this amendment. Still, the effects of the depression made revenue from alcohol sales appealing, and prohibition laws in the Sooner State began loosening over the coming decades. The Liquor Control Act passed in Oklahoma and allowed the manufacture and sale of alcohol in the state – but with heavy regulation. Sales by the glass were not permitted until 1984, and, even then, drinking on-site was on a county-by-county basis. The Oklahoma Modernization of Alcohol Laws, passed in 2016, took effect Oct. 1 and altered the landscape of alcohol consumption in the state. Perhaps the greatest change was removing the distinction between low-point and strong beer, making it easier for consumers to purchase and drink beer with higher alcohol levels both on and off the premises of bars and eateries. Fun and creative drinks, beer cocktails range from the simple to the elaborate. 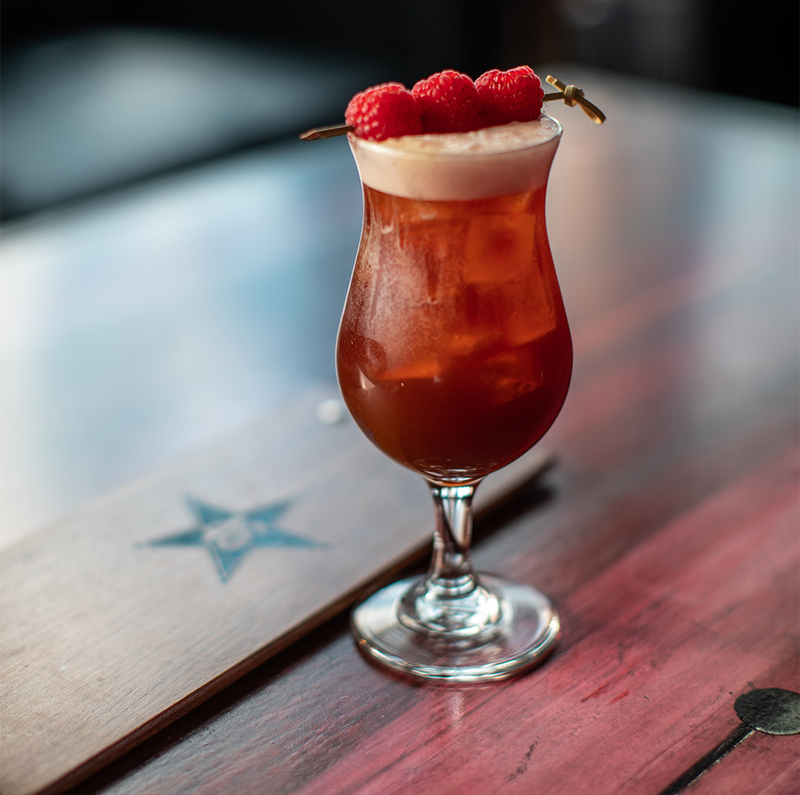 Jump into this ongoing fad with recipes from some of Oklahoma’s favorite watering holes. Founder’s Rubeaus Ale pairs perfectly with cloves and other spices, giving this drink depth while keeping it refreshing. Shake all ingredients, strain, then pour into a tulip glass over ice. Top with 3 ounces of Founder’s Rubaeus Raspberry Ale. 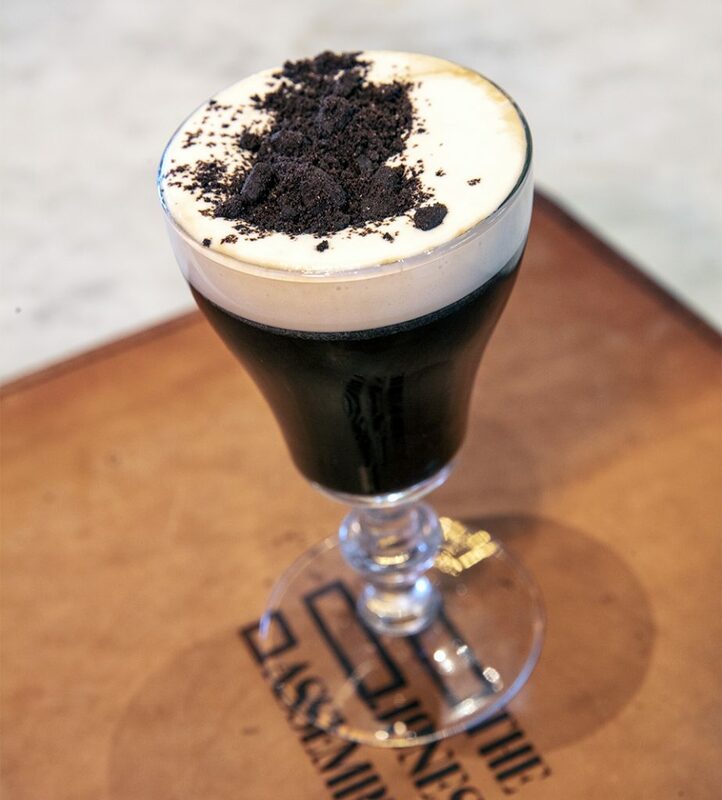 Inspired by Prairie Artisan Ales’ Double Dunk Oreo-infused stout, this local beer is reduced to a syrup as the base flavor for an Oreo Irish coffee-themed drink. This tropical concoction, flavored with pineapple and strawberry, is a succulent choice when the weather is warm. Shake all ingredients, strain, then pour into a rocks glass and top with Avery Liliko’i Kepolo, a Belgian ale with passionfruit. Bold and smoky flavors highlight this beer cocktail infused with coffee. Shake all ingredients, strain over ice, then top with a cold brew of coffee concentrate. 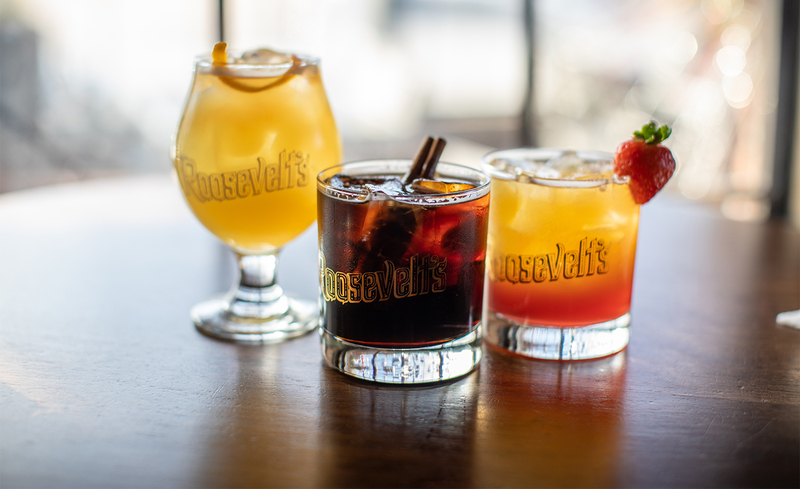 When beer meets whiskey, the result is a flavorful cocktail with lemon and honey. Shake all ingredients, stir, then top off with Kronenbourg Blanc, a wheat ale. Yes, downing a brew or two lowers stress and tension, but don’t expect to lose weight, improve cardiovascular health or lower your risk of diseases by drinking beer. A 2015 Gallup poll says Americans, for the most part, understand that concept. When asked if moderate alcohol consumption is good, neutral or bad for one’s health (with moderate drinking defined as 1-2 drinks a day), 17 percent believed it is good, 52 percent believed it bears no effect and 28 percent believed it is bad. The bottom line: Moderate drinking won’t make you skinnier or less prone to disease, but it will likely improve your mood. Cheers to that. Sometimes you need a glossary to keep your brew terms correct. There are two major categories of beer: lagers and ales. Their difference lies in fermentation. Lagers use yeast that ferments at the bottom of the mixture, and ale’s yeast ferments at the top. Under those two umbrella terms is a bevy of other styles of brews. Find which one seems tastiest to you … or try them all. The grouping of Belgian ales – considered by many to be the world’s best – includes everything from fruity to spicy to malty. Their common characteristics are high alcohol content and low bitterness. Standing for India Pale Ale, this brew is vast but characterized by hops, plus herbal and citrus flavors. The high use of hops makes these brews more bitter than other beers, and they are usually high point. Much like IPAs, pale ales are hoppy, but usually have more of a malt taste and are lighter than IPAs. Think of pale ales as less-intense IPAs. This lager originates from the Czech Republic. These brews look and taste light, and usually have a lower alcohol content than other lagers. Always dark, heavy lagers, porters typically utilize flavors like chocolate, coffee and caramel. This strong beer got its name because it was created especially for doormen and gatekeepers who (as the thinking went hundreds of years ago) needed stiff drinks to stay awake. That’s why the Porter in William Shakespeare’s Macbeth is drunk. For those who don’t dig the taste of wheat or hoppy beers, the whimsical sour ale might be a good start. Made from spontaneously fermenting yeast, sour beers are usually fruity and tart with low alcohol content. Much like porters, stouts are also dark, heavy lagers with flavors like coffee, caramel and chocolate. They typically have medium to high alcohol contents. Typically pale, wheat beers are the antithesis of stouts and porters – light, fruity, tangy and lower in alcohol content. Glossary made with help from webstaurantstore.com.